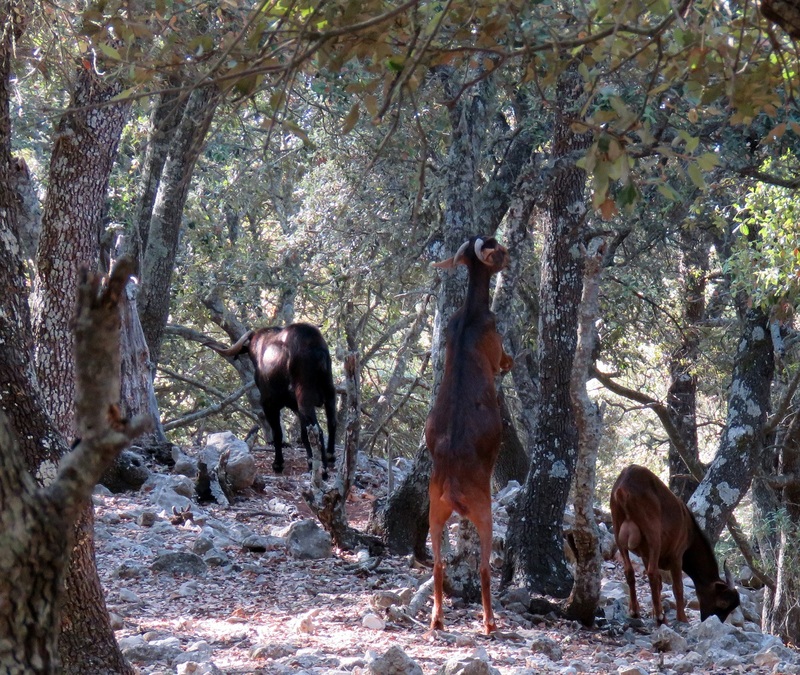 Probably, one of the main challenges for conservation of the Serra de Tramuntana’s nature areas is the lack of management. Wall slips and landslides are no longer repaired, paths are abandoned and traditional professions are being lost. Only a few decades ago, traditional sustainable economic activities kept the environment alive and maintained. These activities, though indirectly, encouraged biodiversity and prevented fires. Hence, there was a balance between the use of resources and nature conservation. 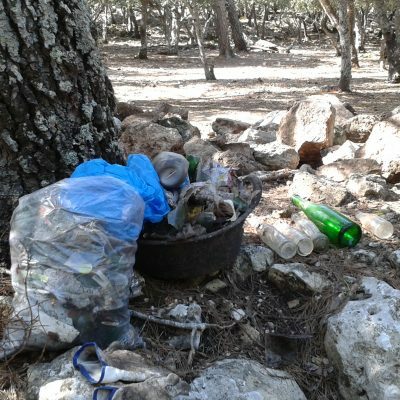 Unfortunately, nowadays, these sustainable uses are no longer profitable and have all but disappeared giving way to a postcard conception of the Serra de Tramuntana with very little active management. Hence, we need to bring the Tramuntana back to life with an efficient and profitable management. In this way, visitors will enjoy it, the tourism industry will thrive while taking part in conservation and landowners will have an incentive to make modern environmental management a reality. The mountains of Valldemossa and Muntanya del Voltor are no exception. 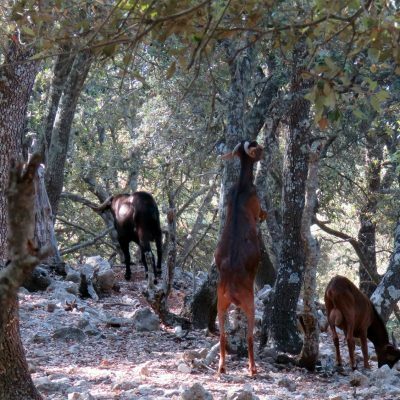 The disappearance of traditional economic activities in the Tramuntana mountain range led to the breakdown of local environmental management. This has resulted in a environment exposed to growing number of threats. Therefore, biodiversity, landscape and architectural elements are at risk. 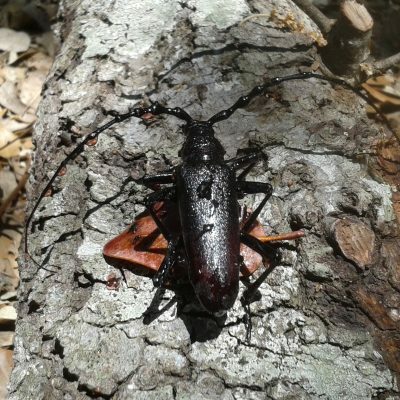 For instance, poor forestry management favours the sprouting of an excess number of oak shoots, leading to a loss of genetic diversity and higher competition for light, water and nutrients. This is a trend that weakens the forest and needs to be reverted. 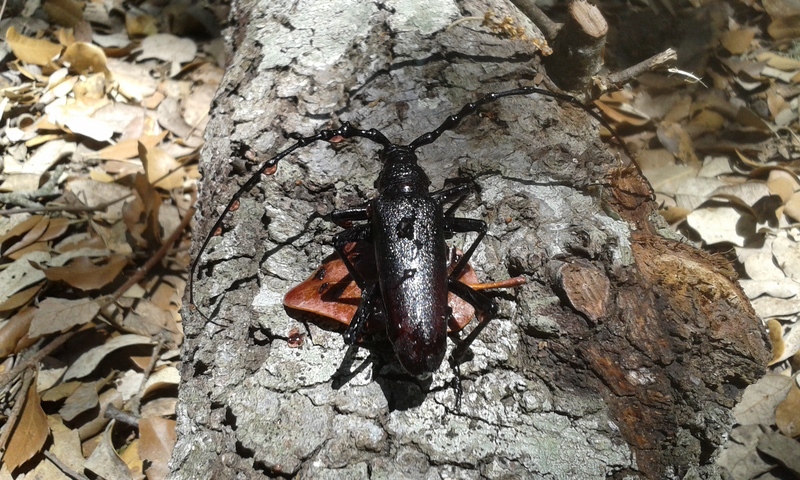 Other critical factors are: the lack of water sources (absence of water points for birds and insects); overpopulation of wild goats with its consequences for local flora (this increase is due to the lack of a predator and interest for modern-day human life); outbreak of plagues such as the Great Capricorn beetle Cerambyx cerdo, the Common Pine Shoot beetle Tomicus piniperda or the fungus Biscogniauxia mediterranea (plagues which would probably not be a threat if the forest was healthy). Also, intense public use has many environmental impacts such us rubbish, noise, camping and fire. Paradoxically, the lack of control and overcrowing is detrimental not to the environment but also to the hiking itself, as it damages the quality of the visitors’ experience. The landscape and architectural heritage are some of the main attractions for hikers. Huts, fountains and other infrastructures, which are no longer in use, are gradually deteriorating. Natural events (such as light linings or erosion) and vandalism worsen the scenario. 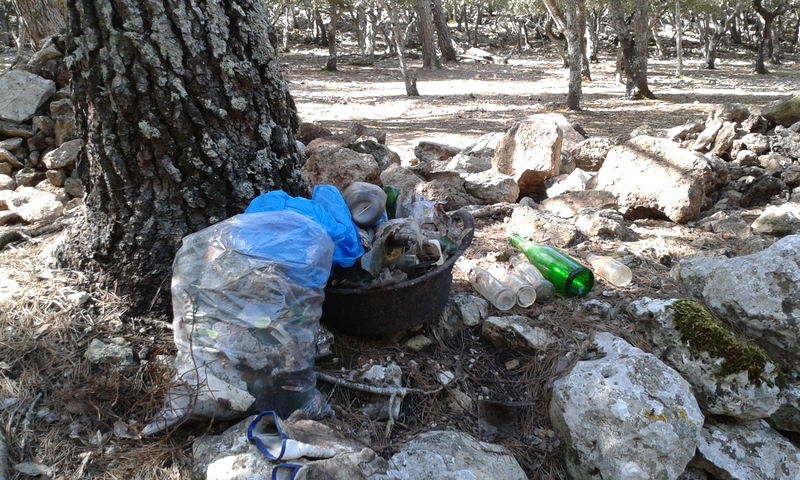 With all of this in mind, at “Muntanya del Voltor” we have developed a management model to revert the degradation and encourage the conservation of the culture and nature crystalized in our environment. All in smooth collaboration with local and foreigner hikers.